How do I create a feedback form? 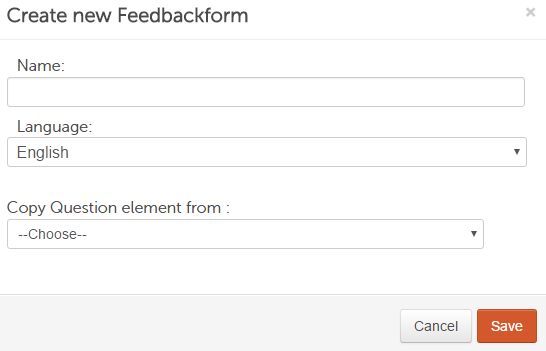 Click on “Create feedback form” in the feedback form section. This opens a window where you can enter a name of the feedback form as well as select the applicable language. You can also use an existing form as a template and edit it as desired. 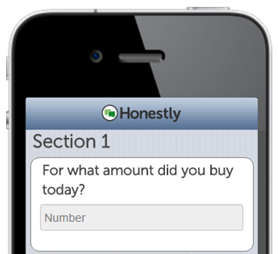 A feedback form is made up of sections and question elements. 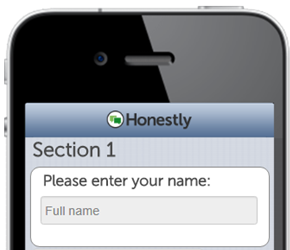 Sections are basically “headings” that can be used to subdivide the form in several topics, thus enabling respondents to always know the respective topic to which they are currently submitting their feedback. Question elements are the actual questions. 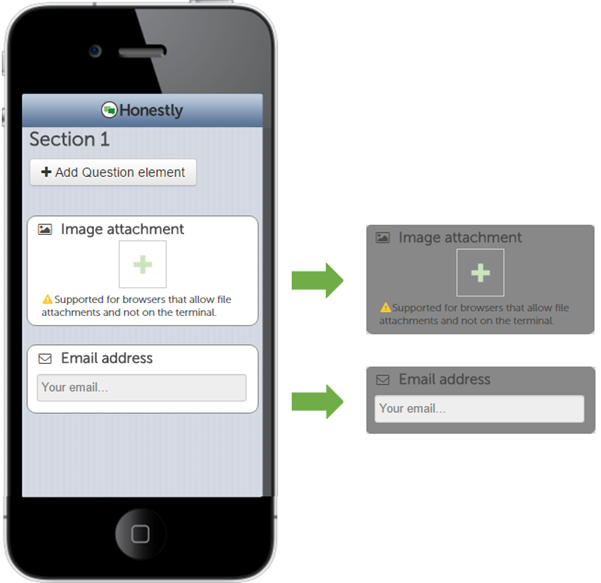 The “Image attachment” and “Email address” options at the end are standardized and created automatically by the system. An image can only be uploaded for use with mobile websites and NOT if respondents are submitting their feedback via the terminal. You can hide both elements using the “Eye” icon. 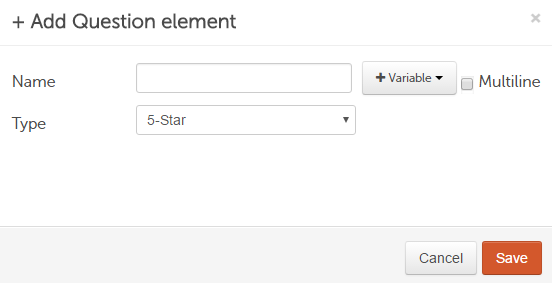 To add questions, click on “Add question element”. This opens a window where you can then enter a “Name” for the question as well as select the question type. A comprehensive list is available here. In addition, you can edit, copy, delete, or create branches to the questions at a later point in time. CAUTION! Feedback forms that have already been active and for which feedback has already been submitted should only be edited with caution if you plan to reuse them later. Our customer service will be more than happy to assist you with this! a maximum of 5 stars = very good rating. The number of stars can not be changed. “Smiley” questions are kind of questions in which the feedback provider has the opportunity to make a selection between at least 2 smileys and a maximum of 6 smileys. The choice of a sad smiley in the scale means a very bad review and the choice of a smiling smiley is a very good review. The number of smileys is changeable. The name of the smileys can be adapted to your needs. 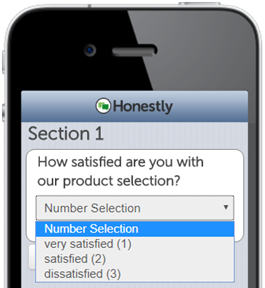 Questionnaires of the “Number Selection” type are questions in which the feedback provider has the opportunity to choose between several responses for a reply. In the left-hand text fields, you can enter your corresponding response options and insert your defined scale in the right-hand fields. The number of responses is not limited. By selecting the "other option", feedback providers can enter a different response from the answers you provide. Here, a text field opens automatically after clicking "Other". Please note that only the response options are displayed to the feedback providers. The scale you entered is relevant for the evaluation due to a calculated average and median. 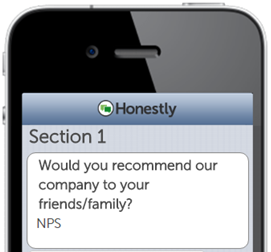 Questionnaires of the NPS type are questions in which the feedback provider has the opportunity to evaluate these from a scale of 1 to 10. "Would you recommend our company to your family / friends?" 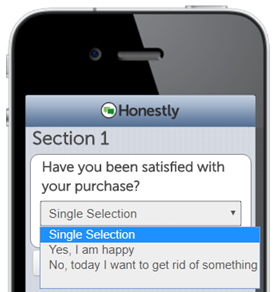 Questionnaires of the “Single Selection” type are questions, in which the feedback provider has the opportunity to decide between several response possibilities for a reply. 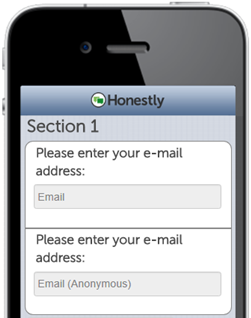 You can enter your corresponding response choices in the text fields. The number of response possibilities is not limited. By selecting "other option", feedback providers can enter a different response than the answers you provided. Here, a text field opens automatically after clicking "Other". The only difference of the “Simple Scale Selection” questionnaire is that neither an average nor a median will be calculated in the evaluation. Questionnaires of the "Multiple Selection" type are questions in which the feedback provider has the option of selecting several answers from different response options. By selecting "other option", feedback providers can enter a different response than the answers you provide. For this purpose, a text field opens automatically after clicking "Other". Questionnaires of the “Name and Last Name” type are questions, in which the feedback provider has the possibility to enter their name. Questionnaires of the “E-mail” type are questions, in which the feedback provider has the possibility to enter their e-mail address. • the E-Mail questionnaire displays the e-mail address of the feedback provider. By choosing the e-mail type, the system also checks whether the input is an actual e-mail address - if a valid @ sign is present as well as a valid domain (.de; .com etc.) is specified. Questionnaires of the “Phone number” type are questions, in which the feedback provider has the possibility to enter his telephone number. 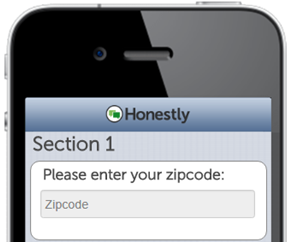 Questionnaires of the “zipcode” type are questions in which the feedback provider has the possibility to enter a postal code. 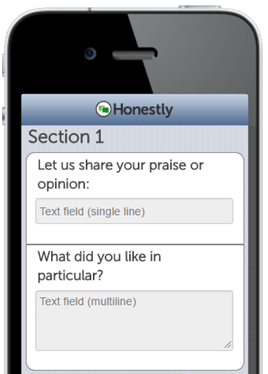 Questionnaires of the ”Text field” type are questions in which the feedback provider has the possibility to enter a corresponding answer. Here, a short text field (one line) and the long text field (multiline) are possible. Short text fields are more likely to be selected if one already knows that the answer will not include more than 1-3 words - one line. For long text fields, the answer can be several lines long. There is no limit in the number of characters. Questionnaires of the “Number” type are questions in which the feedback provider has the possibility to specify a corresponding number as an answer. The input of letters is not possible. The number is neither a postal code nor a telephone number, but for example a cash amount, number of persons in a household, etc. For the payment type input, you can define an unit and define a minimum or maximum value that can be entered. 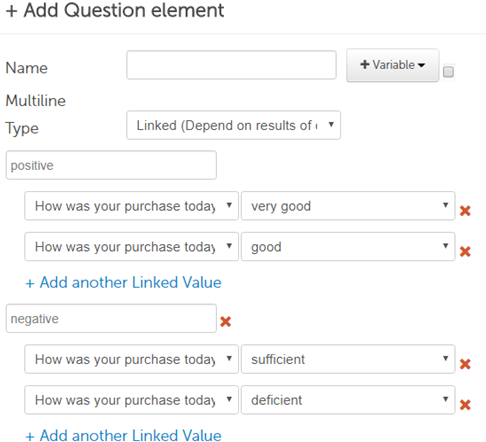 Questionnaires of the “Linked Elements” type offers the possibility to categorize the answers of the feedback providers.